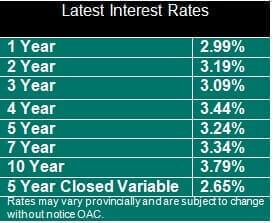 "When you use the Right Mroker Broker, you get the Best Rate"
As the London Ontario and area Housing Market has continued to heat up over the past few years Mortgage Pre-Approvals have become increasing important. As many Offers to Purchase are now being submitted without conditions (as in without being conditioned on financing) it is important to have your Mortgage Financing im place prior to going house shopping. Unlike many of the large banks I offer quick pre-approvals so that once you decide to purchase a home you are not waiting around for an extended period of time to hear back about whether or not you can get a mortgage. If you thinking of buying a home but are not sure if you will ge approved please do complete the following form. By applying for a Pre-Approval you can shop for your new home with confidence, knowing that your financing has already been taken care of. Please complete the following form and I will contact you within 24 hours! !